"The astonishingly young age at which she took silk reflects her exceptional skill and talent." Sarah Ford QC was called to the Bar in 2002 and took silk in 2017. She is an able and versatile silk with significant experience in EU and competition, public law and commercial litigation. Sarah has exceptional trial advocacy experience, having appeared most recently in Unwired Planet v Huawei, an 8-week trial leading to a landmark judgment on the obligation of standard essential patent holders to licence on fair, reasonable and non-discriminatory terms; the ‘pay-for-delay’ paroxetine appeals heard for 5 weeks before the Competition Appeal Tribunal; the appeal against Ofcom’s imposition of a dark fibre access remedy heard for 6 weeks before the Competition Appeal Tribunal; Signia Wealth Limited v Vector Trustees Limited, a 4-week trial of a commercial dispute in the wealth management industry; and BritNed v ABB, a 5-week trial of a follow-on damages claim arising from a cartel in high voltage cables. Sarah is recommended as a leading practitioner in the Chambers & Partners, Legal 500 and Who’s Who Legal directories, where she is described as “a deep thinker who can react to quickly moving developments and is really able to adapt to what is happening", “superb and …very practical and businesslike" and "Always very responsive, bright and commercial." (Chambers & Partners 2018). Sarah was awarded 'Competition/EU Junior of the Year' at the Chambers Bar Awards 2014. In November 2011 Sarah was identified as one of Legal Week's ‘Stars at the Bar' 2011 and featured in an article entitled "Bright Lights" which profiled "10 promising junior barristers singled out as some of the best in the profession". She was described as "intelligent, industrious and insightful" with "an affable style and level-headed approach in the most stressful situations, making her a talented asset to any team." BritNed v ABB  EWHC 2616 (Ch): counsel for ABB in the first cartel damages claim to reach judgment. Actavis UK Limited v Competition and Markets Authority  CAT 4: counsel for Actavis appealing a finding of infringement in respect of alleged ‘pay-for-delay’ settlement of patent litigation in respect of paroxetine. Unwired Planet v Huawei  EWHC 711 (Pat): competition counsel for the Unwired Planet in a landmark judgment on the obligation of a standard essential patent holder to grant licences on fair, reasonable and non-discriminatory terms. British Telecommunications plc v Office of Communications  CAT 25: counsel for Virgin Media Limited (intervening) in a challenge to Ofcom’s decision to impose a dark fibre remedy in the supply of leased lines. National Grid Electricity Transmission plc v Gas Insulated Switchgear cartelists (Chancery Division): Junior Counsel for ABB Ltd, instructed by Freshfields Bruckhaus Deringer, in a high value follow-on damages claim nominated for Litigation of the Year by by Global Competition Review. BCL Old Co Ltd v BASF SE (formerly BASF AG)  UKSC 45;  1 W.L.R. 2922;  Bus. L.R. 1801;  1 All E.R. 457 (Supreme Court): Junior Counsel for BASF, instructed by Mayer Brown International LLP, in the first case on the Competition Act 1998 to reach the Supreme Court. British Sky Broadcasting & Ors v Office of Communications  Bus. L.R. 713 (Court of Appeal): Junior Counsel for British Telecommunications plc in this long running, high profile litigation involving Ofcom, Sky, the FA Premier League, BT and Virgin Media. Electrical and Waste Recycling Group v Philips Electronics Ltd & Ors (Chancery Division): Junior Counsel for the Defendants, instructed by Eversheds LLP, in a high value claim for breaches of the Chapter I and Chapter II Prohibitions of the Competition Act 1998 in the waste lightbulb recycling industry. Purple Parking Limited v Heathrow Airport Limited  EWHC 987 (Ch);  U.K.C.L.R. 492: Junior Counsel for Heathrow, instructed by Herbert Smith LLP, in a claim for abuse of a dominant position. Mehboob Travel Ltd v Pakistan International Airlnes Corp (Commercial Court): Junior Counsel for Pakistan International Airlines Corporation, instructed by Clyde & Co LLP, successfully resisting an application for interim relief based on alleged abuse of a dominant position. Bid Rigging in the Construction Industry: Junior Counsel for the OFT in various appeals before the CAT against fines imposed in the OFT's Decision on Bid Rigging in the Construction Industry. Secretary of State for Health & Ors v Norton Healthcare Limited & Ors (Chancery Division): Junior Counsel for Goldshield Group plc, instructed by Jones Day, resisting claims for damages on behalf of the Secretary of State for Health for alleged price fixing in the sale of the generic drug warfarin. This matter was also the subject of parallel criminal proceedings in which the Serious Fraud Office sought to prosecute the Defendants for conspiracy to defraud. Acted for the United Kingdom in preliminary references to the CJEU in Cases C-176/15 Riskin  4 W.L.R. 149; C-154/15 Gutierrez Naranjo; C-388/14 Timac Agro Deutschland GmbH; C-386/14 Groupe Steria SCA; C-241/14 Bukovansky  4 W.L.R. 45; C-10/14 Miljoen; C-420/13 Netto Marken Discount AG & Co KG  Bus L.R. 981; Joined Cases C-217/13, C-218/13 Oberbank AG  Bus. L.R. 786; Joined Cases C-24/12 and C-27/12 X BV; C-12/12 Colloseum Holding AG  Bus. L.R. 768; C-384/09 Prunus SARL; and C-128/08 Damseaux. Recall Support Services Limited & Ors v Secretary of State for Culture, Media and Sport  1 C.M.L.R. 38 (Court of Appeal): Counsel for the SSCMS (led by Daniel Beard QC) successfully resisting a claim for Francovich damages for the maintenance in force of a restriction on the commercial use of telecommunications equipment known as a GSM gateway. Robertson v Swift  1 W.L.R. 3438 (Supreme Court): Counsel for the Office of Fair Trading (intervening) upholding the consumer’s right to cancel a contract under Directive 85/577/EEC. Case C-502/15 Commission v UK (CJEU): Counsel for the United Kingdom resisting infraction proceedings concerning collection and treatment of urban waste water. Case C-172/13 Commission v UK  2 W.L.R. 1418 (CJEU): Counsel for the United Kingdom (led by David Ewart QC) successfully resisting infraction proceedings concerning the compatibility of rules on cross-border loss relief with EU law. Cases C-390/07 Commission v UK and C-301/10 Commission v UK (CJEU): Counsel for the United Kingdom (led by David Anderson QC) resisting infraction proceedings arising from the Waste Water Treatment Directive. Marks & Spencer plc v Revenue and Customs Commissioners (No 1)  1 W.L.R. 1586 and (No 2)  1 W.L.R. 711 (Supreme Court): Counsel for the Revenue (led by David Ewart QC) concerning the compatibility of rules on cross-border group relief with EU law. Test Claimants in the FII Group Litigation v Revenue and Customers Commissioners  2 A.C. 337 (Supreme Court): Counsel for the Revenue (led by David Ewart QC) concerning the compatibility of rules on taxation of dividend income with EU law. Vodafone 2 v Revenue & Customs Commissioners  EWCA Civ 446;  Ch. 77;  2 W.L.R. 288;  Bus. L.R. 96;  S.T.C. 1480;  Eu. L.R. 110;  B.T.C. 273;  S.T.I. 1795; Times, June 26, 2009 (Court of Appeal): Junior Counsel for the Revenue in a case concerning the duty of conforming interpretation. Wholesale calls: Junior Counsel for BT, instructed by Freshfields Bruckhaus Deringer, responding to Ofcom's statement of objections arising from a complaint by Thus Plc and Gamma Telecom Limited against BT about alleged margin squeeze in wholesale call pricing. Vodafone plc v British Telecommunications plc (Court of Appeal)  EWCA Civ 391;  3 All E.R. 1028;  Bus. L.R. 1666: Junior Counsel for BT in disputes arising from the imposition of price controls for mobile call termination. British Telecommunications Plc v Director General of the Office of Telecommunications  CAT 8 (Competition Appeal Tribunal): first appeal to the Competition Appeal Tribunal under the Communications Act 2003. Unipart Group Limited v 02 (UK) Limited & Call Connections Limited  EWCA Civ 1034 (Court of Appeal). The Queen, on the application of H Lundbeck A/S and Lundbeck Ltd v. Licensing Authority ex parte Teva, Generics UK, Tiefenbacher, Winthrop, Ratiopharm & Arrow (Administrative Court): Junior Counsel for Lundbeck, instructed by Arnold & Porter LLP, in a judicial review of the decision of the Licensing Authority to grant marketing authorisations for generic versions of Lundbeck's product Cipralex (escitalopram). Case C-452/06 R (Synthon BV) v Licensing Authority & Smithkline Beecham plc  ECR;  EWHC 1759 (CJEU, Administrative Court and Chancery Division): Junior Counsel for Synthon, instructed by SJ Berwin LLP, in a claim for damages against the Licensing Authority for wrongful refusal of a marketing authorisation in respect of Synthon's product containing the active substance paroxetine. R (Alliance of Turkish Businesspeople Ltd) v Secretary of State for the Home Department  EWHC 603 (Admin): counsel for the Alliance of Turkish Businesspeople Ltd in a JR concerning breach of substantive legitimate expectation. R (Sisangia) v Director of Legal Aid Casework  1 W.L.R. 1373 (Court of Appeal): Counsel for DLAC (led by Martin Chamberlain QC) in a JR concerning the meaning of “abuse … of its position or powers” within paragraph 21 of Part 1 of Schedule 1 to the Legal Aid, Sentencing and Punishment of Offenders Act 2012. Secretary of State for the Home Department v Davis & Ors  1 C.M.L.R. 48 (Court of Appeal): Counsel for SSHD (led by James Eadie QC and Daniel Beard QC) resisting a challenge to s. 1 Data Retention and Investigatory Powers Act 2014. R (British Academy of Songwriters, Composers and Authors) v Secretary of State for Business, Innovation and Skills  Bus. L.R. 1435 (Administrative Court): Counsel for SSBIS (led by Pushpinder Saini QC) in a JR of the introduction of a private copying exception to copyright protection. R (Tadworth and Walton Residents’ Association) v Secretary of State for Environment, Foods and Rural Affairs  EWHC 972 (Admin): Counsel for SSEFRA successfully resisting a JR of a decision concerning the registration of common land. 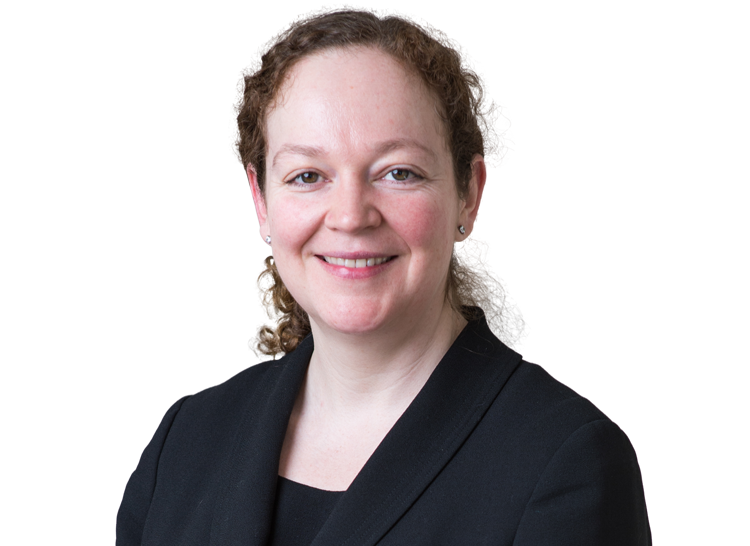 R (Bickford-Smith) v Secretary of State for Environment, Food and Rural Affairs  EWHC 3371 (Admin): Counsel for SSEFRA successfully resisting JR of a decision of the Rural Payments Agency determining the Claimant’s rights to a subsidy payment under the EU’s Single Payment Scheme. Signia Wealth Limited v (1) Vector Trustees Limited (2) Ms Nathalie Dauriac-Stoebe  EWHC 1040: Counsel for the Defendant parties in a dispute in the wealth management industry. Standard Bank plc v Sheikh Mohamed Bin Issa Al Jaber  EWHC 2866 (Comm): Junior Counsel on behalf of Sheikh Mohamed, instructed by King & Spalding International LLP, resisting a summary judgment application against the Sheikh as the guarantor under two facility agreements. Berghoff Trading Limited & Ors v Rosserlane Developments Ltd & Ors  EWCA Civ 413 (Court of Appeal) Nobes v Berghoff Trading Limited (Commercial Court): Junior Counsel for the Berghoff, instructed by McGuire Woods LLP, in a multi-million pound dispute in the Commercial Court and Court of Appeal concerning the sale of interests in an Azerbaijani oil field. "...up-and-comer Sarah Ford ... continues to impress with her ‘quick thinking, thoroughness and preparation.' "